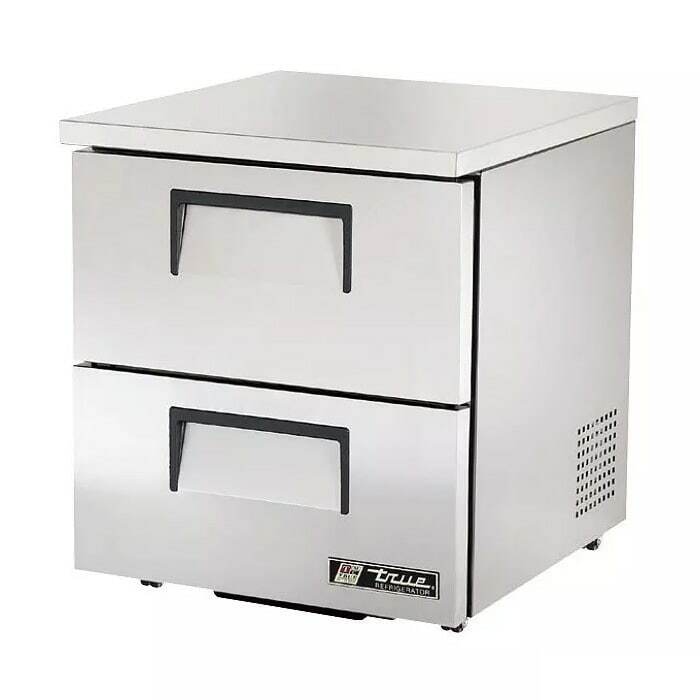 The True TUC-27D-2-LP-HC features two sliding drawers that each accommodate a full-size 12-inch by 20-inch by 6-inch pan. Those drawers are made with stainless steel facings, frames, rollers, and rails for a long product life. 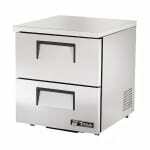 The exterior front, sides, and top the undercounter refrigerator are also made of stainless steel, while the back is made with matching aluminum. This unit uses R290 refrigerant, a naturally-occurring alternative to man-made refrigerants that offers better energy efficiency and is better for the environment. 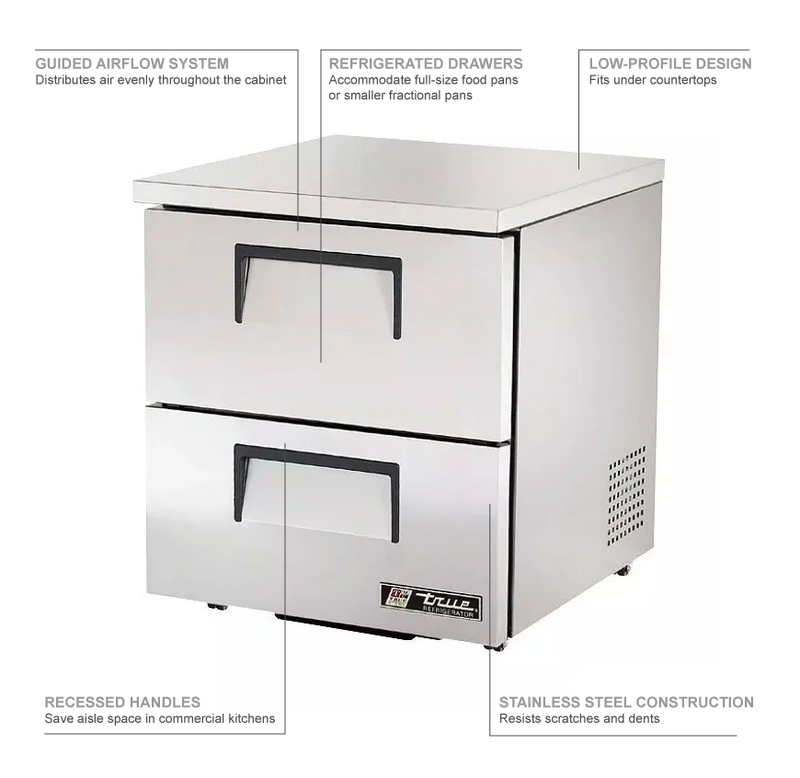 The True TUC-27D-2-LP-HC is designed to hold contents at 33-38 degrees Fahrenheit.